Microsoft's first major update for Windows 10 patches bugs and brings you up to speed. A week after releasing Windows 10 to the public, Microsoft has just delivered its first major update for the OS. The company is calling it a “cumulative” update for Windows 10. The update merely fixes bugs in the system though, Microsoft hasn’t made any notable additions with it and neither does the company detail what the update exactly does. The description for the update says that it deals with non-security related changes and enhances the performance of Windows 10 through new features and improvements. Essentially though, the update seems to be adding bug fixes to the system, meaning if you’ve missed past patches for Windows, the update will bring you up to speed. Just like the Windows 10 update itself though, you may or may not, have received the update right now. 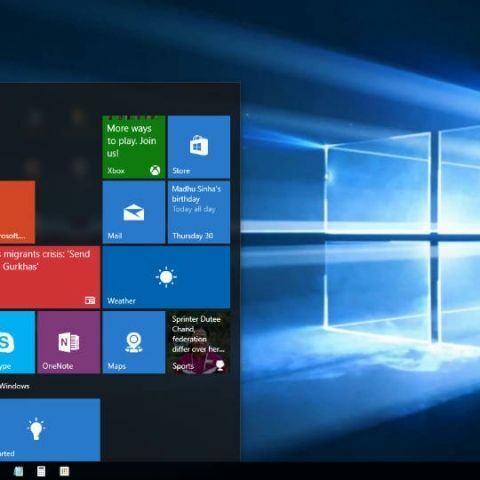 Microsoft released Windows 10 to the public on July 29, following months of hype and expectations. The new version of Windows brings back the Start Menu, and has so far, lived up to the hype that was created. That said, being the ‘last version of Windows’, there’s a long way to go for Microsoft. The OS marks the journey of Windows as a service, which means it will be evolving over time. The new version of Windows is being rolled out in phases to users, and Microsoft announced that it had over 14 million PCs running Windows 10 within 24 hours. Windows 10 will be free for the first year, which means that if you have Windows 7 or above, you should upgrade right now and get Windows 10 for free. However, note that your subscription to Windows 10 will run out on July 29 next year, which is when you’ll have to pay for using the operating system. This applies to all users of Windows 10, including those who have updated from OEM versions of Windows 7 or Windows 8.